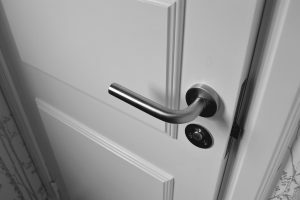 Does your property feature smart door locks? Smart door locks feature keycard readers. At a basic level, they’re programmed to open specific doors in defined time periods. The holder of a smart keycard can not only access his room, he might also have the ability to charge his meals in the restaurant and access the work out room or pool. You’ve heard about the IoT (Internet of Things): everyday objects that communicate with each other to improve our lives. In the hospitality industry, a smart door lock is a valuable IoT device. Smart door locks can integrate with energy management systems where the value of each increases exponentially when working together. The industry buzzword is INTEGRATION. Smart devices absolutely must be able to work together to deliver an immersive and engaging experience for users. This most assuredly includes smart door locks like those from Salto, Saflok and Ving. From the information on the keycard, smart door locks can distinguish between staff and guest entry. The smart locks will send “door open” and “door closed” messages to an EMS (energy management system). The EMS uses that information to adjust default guest room settings. What settings? In-room lighting and HVAC for starters. They react one way if staff has entered (no special lighting, no comfy room temperature). They react an entirely different way when guests enter the room (warm, welcoming lighting scene, comfy room temperature). 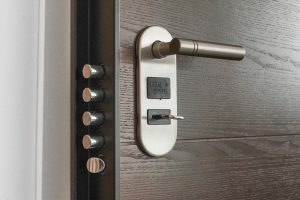 Smart door locks can assist in occupancy detection. When part of an integrated EMS system, smart door locks transmit lock activity, and report it back to the EMS, where occupancy can be determined based on a variety of technology including PIR occupancy sensors and door contacts. Integrating smart door locks into an EMS platform means maintaining and enhancing current electronic door locks. It allows the locks to communicate within the EMS platform of thermostats, occupancy sensors and light switches over a secure network like ZigBee. The door locks can issue alerts, update keycards, perform room changes and communicate events such as ‘room ready’, ‘door ajar’, and ‘wandering or standing intruder’ as they occur. Find out more about the power of integration. Get in touch today. sales@telkonet.com or 888-703-9398.